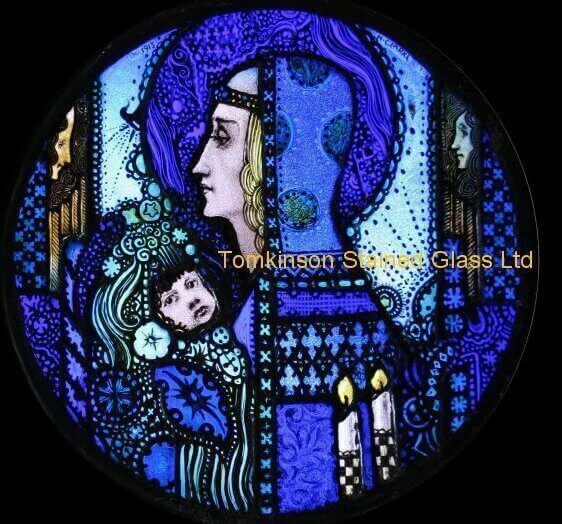 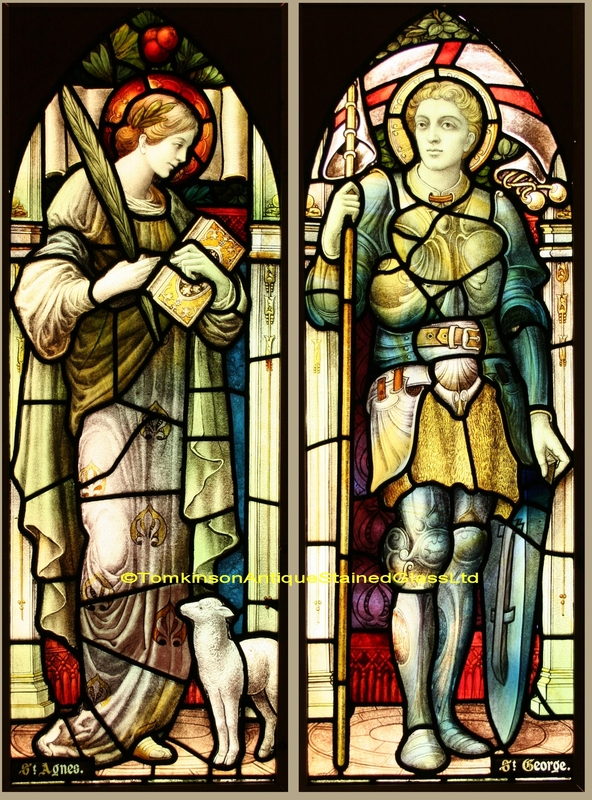 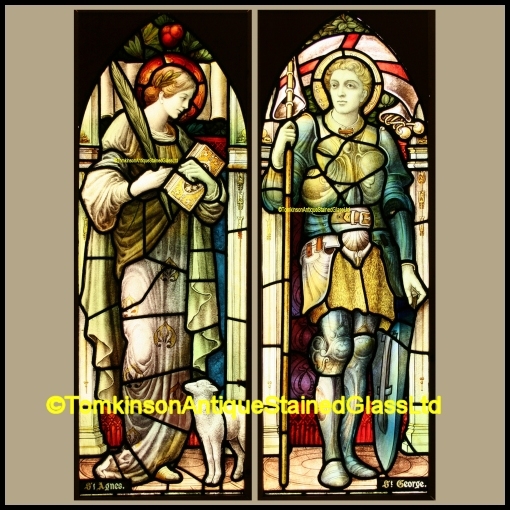 By Samuel Evans & Co.
Two antique arched topped Edwardian stained glass windows, c1910, each leaded with coloured glass hand painted depicting Saints. 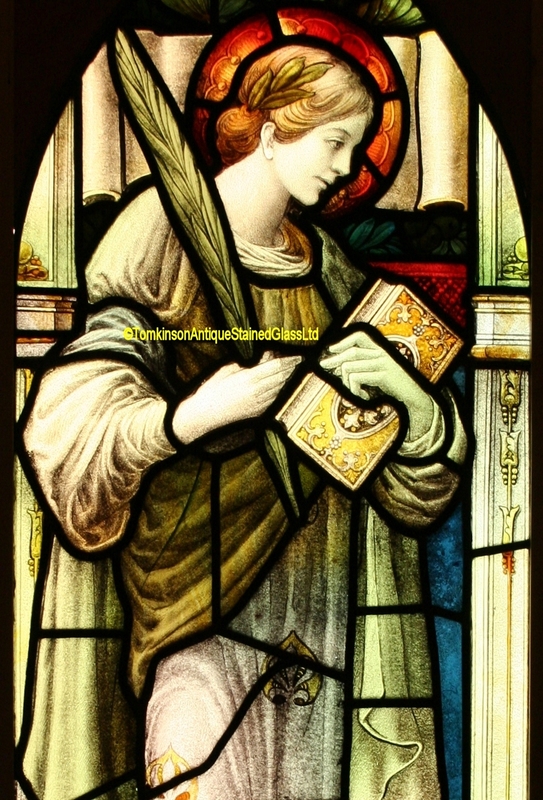 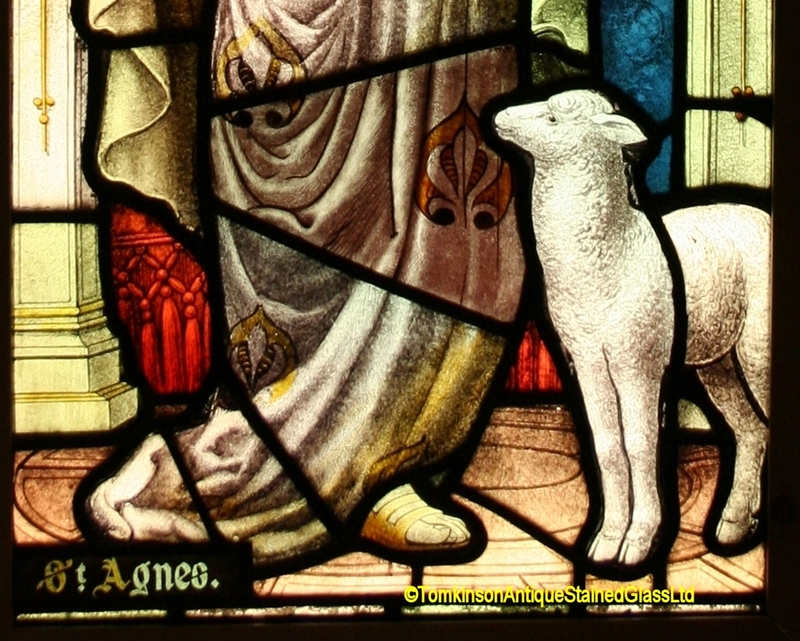 Left window is St Agnes depicted as a young girl and a lamb at her feet. 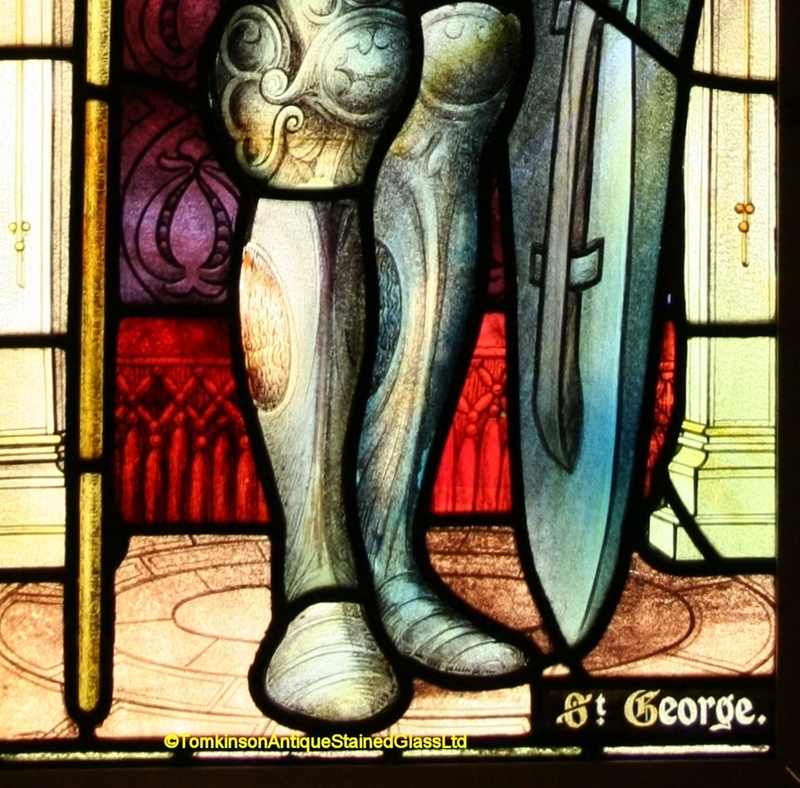 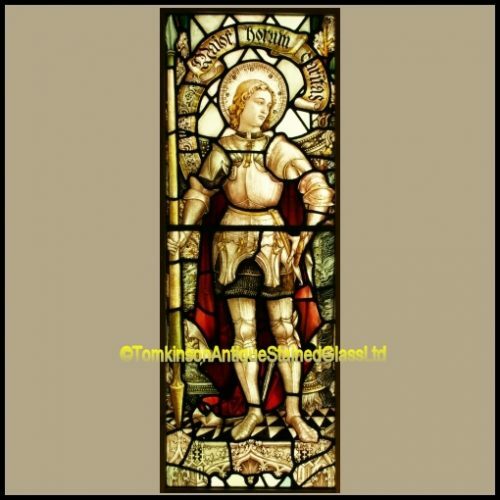 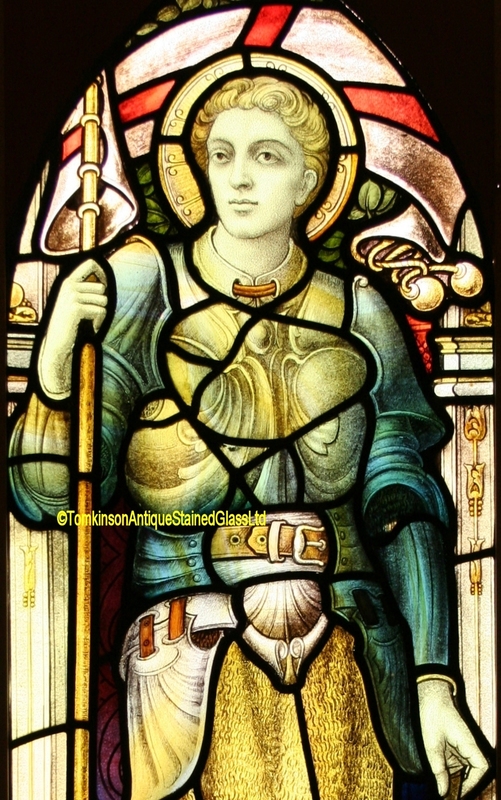 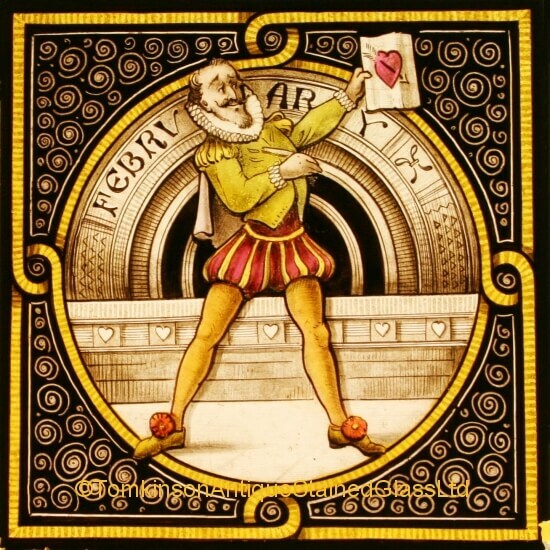 Right window is St George in armour and holding the St George flag above his head. 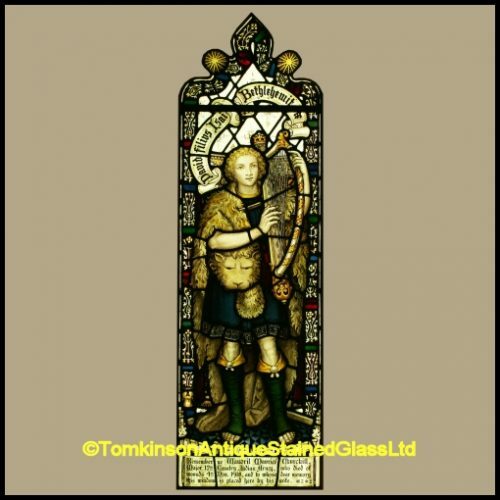 Lovely windows, super quality and with lead and glass in excellent original condition. 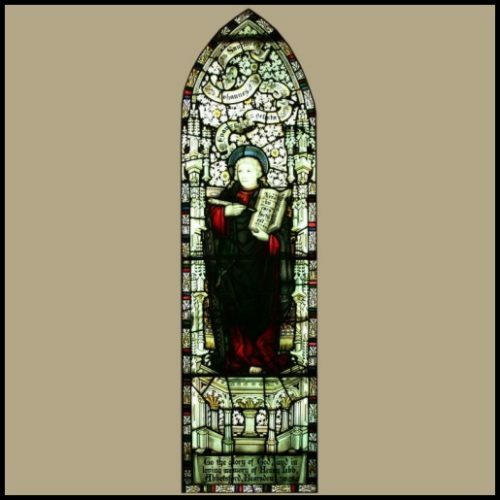 Removed from Church of St Matthew, Newport, South Wales, England prior to demolition. 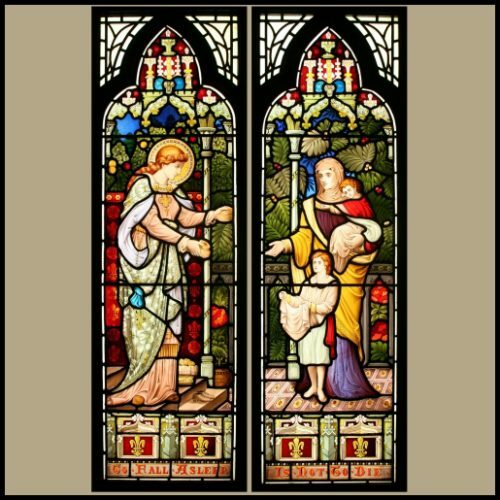 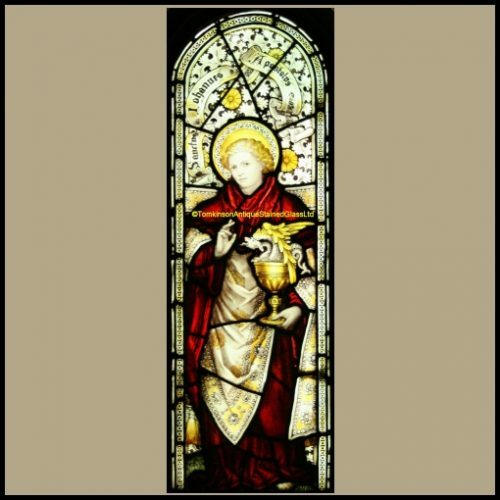 Ref: Rel347 Category: Antique Religious Church Windows Tags: church window, Gothic, lancet window, Pair, saint, Samuel Evens & Co.